Modernise your home with the contemporary living solutions on offer from the team at Snap Concrete. Durable and resilient, our bespoke concrete benchtops are the perfect addition to the contemporary Melbourne kitchen, and home as a whole. Right at home as the centrepiece following a renovation or a new build, our concrete benchtops are able to compliment all tastes, styles, and decors. Easy to maintain and clean stains and spills will be a thing of the past thanks to Snap Concrete’s concrete benchtops. Our concrete benchtops give Melbourne homeowners the perfect surface to prepare and present meals, entertain guests, or simply enjoy their free time. 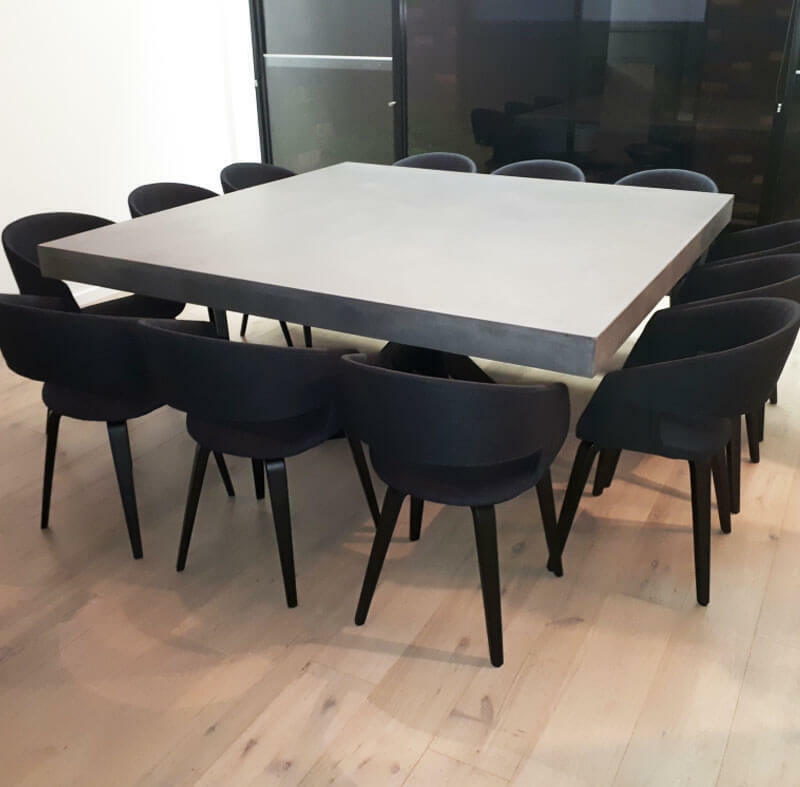 Custom-made to suit the dimensions of your living area, our concrete benchtops will soon become a focal point in your home with all members of the household enjoying the possibilities of this multi-purpose piece of furniture to the fullest. Are you wanting to bring a unique style to your home? Thanks to Snap Concrete’s flawless and expertly-built concrete benchtops Melbourne residents from across the city and beyond can give their living environment a voice of its own. Made with the modern homeowner in mind, our custom-built concrete benchtops help Melbourne locals bring out the best in their property’s interior. Timeless and minimalist, our concrete benchtops immediately draw the eye, making them feel more like art installations than pieces of furniture. 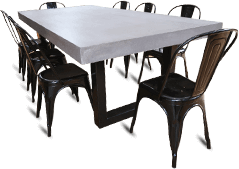 Made from the highest-quality materials for increased strength and durability our concrete benchtops give Melbourne customers a benchtop that will last through the ages. 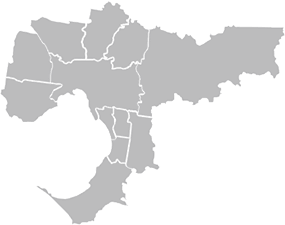 To help you make the right choice for your home with our concrete benchtops Melbourne-based residents can get in touch with our helpful and friendly team to learn more about the advantages of our concrete benchtops. Bring your kitchen into the 21st century thanks to the skilled and innovative team at Snap Concrete. 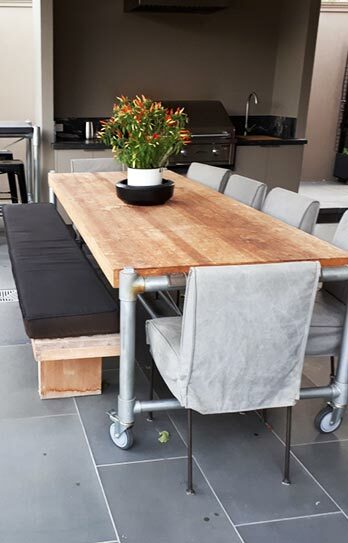 Our passionate and professional experts have the ability to change the way you live with our competitively-priced and durable concrete kitchen benchtops and tables. Highly-polished and blemish-free our superior and attractive concrete kitchen benchtops and tables are the perfect surface for preparing and presenting food. Easy to clean and maintain our benchtops and tables are customised to suit the dimensions of your kitchen or dining room to give you optimal space in your home, improving the layout of your kitchen and your quality of life. At Snap Concrete we have made delivering personalised and long-lasting concrete products our business. along with supplying exceptional products our skilled team can deliver seamless and speedy delivery and installation services for a hassle-free and reliable experience. Combining years of hands-on training and knowledge the designers, fabricators, and installers at Snap Concrete have the drive to turn your kitchen improvement dreams into a reality. Highly-polished and blemish-free our superior and attractive concrete kitchen benchtops and tables are the perfect surface for preparing and presenting food.Easy to clean and maintain our benchtops and tables are customised to suit the dimensions of your kitchen or dining room to give you optimal space in your home, improving the layout of your kitchen and your quality of life. At snap Concrete we have made delivering personalised and long-lasting concrete products our business.along with supplying exceptional products our skilled team can deliver seamless and speedy delivery and installation services for a hassle-free and reliable experience. 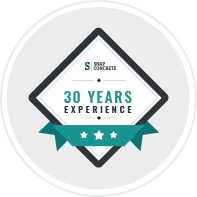 Combining years of hands-on training and knowledge the designers, fabricators, and installers at Snap Concrete have the drive to turn your kitchen improvement dreams into a reality. Using only the best materials and industry-leading techniques Snap Concrete can ensure that all concrete products that we provide to you will deliver decades of flawless service and will become the centrepiece of your home.To upgrade your kitchen for the better call our concreting experts today on 0450 535 075.